But for someone who is new to the program, or just learning about the program, understanding exactly how your use as an owner works can seem complex. I am here to tell you that it is actually simple to grasp and I am going to explain exactly how it works. If you have not received the Owner Privilege Table from us, please click the button below to fill out a form and a link to the table will be e-mailed to your inbox immediately. How does owner use work? As an Owner, you would have full reciprocal use at all of the locations listed on the left side of the table. The dates of the year are broken out across the top of the table, and the shaded boxes below represent High Season (dark blue), Low Season (light blue), or Base Closed/Excluded (gray) for each location. For example, High Season in the BVI is December 16 – April 15, and Low Season in the BVI is April 16 – December 15. As an owner, you would receive 84 points total each calendar year (42 points of Advance Booking and 42 points of Short Notice Booking). Owners can book their time in High Season for 2 points per day and Low Season for 1 point per day. The maximum Advance Booking in High Season is two weeks (28 points). Owners can use the remaining 14 Advance Booking points in Low Season for an additional total of two weeks. As an owner, you would then still have 42 points for Short Notice bookings, which can be used during High or Low Season. Depending on availability, the owner could use Short Notice points in High Season for three weeks (42 points). Or the owner could use all 42 Short Notice points and 42 Advance booking points in Low Season for twelve weeks (84 points). How does it work if I close on a boat in the middle of the year? Owners receive 3.5 Advance points and 3.5 Short Notice points per month, so if you were to close in June you would receive the points for July-December of that year (6 months x 3.5 = 21 Advance points and 21 Short Notice points). You would then receive the full 42 Advance and 42 Short Notice points on January 1. How do I schedule owner use? 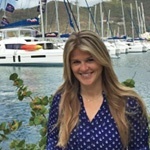 Owners have a dedicated owner booking agent to reserve their time aboard their yacht and sister ships. The owner booking agent keeps track of the points used, and can offer suggestions regarding transport to and from airport, and other bits of local knowledge. Can I sell my owner points? Owners are able to sell, donate or give away two weeks of Guest Use in Low Season. It is up to owners to coordinate with the Owner Booking representative to allow their named guests to book their time. The Moorings cannot sell your Guest Use for you. If I don’t use all my points, can I be paid back? / Can I use less time and receive more income? Points cannot be rolled over from year to year, so if you do not use your points within a calendar year, they will no longer be available to you once the new year begins. The Moorings cannot buy back points. If an owner has used all 42 Advance points and 42 Short Notice booking points within a year and still have sailing they want to do, they can receive a 15% discount on the charter rate for additional charter time. Can I use a catamaran if I buy a monohull? Owners are allowed to upgrade within their Group or up one Group.On the Group Table of the Schedule A document (above), you will see that if you own a monohull under 40’, you can upgrade to a monohull up to 49’. 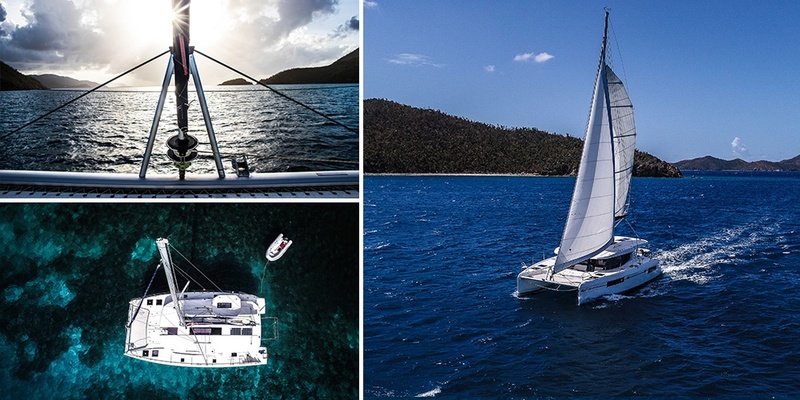 If you own a 41’-49’ monohull, you can upgrade to a sail catamaran up to 40’. If you own a 50’+ monohull or catamaran up to 40’, you can upgrade to up to a 45’ sail catamaran. If you own a 41’-45’ sail catamaran, you can upgrade to a sail catamaran up to 51’. If you own a sail cat, you can upgrade to a like sized power catamaran for 14 days using Short Notice in Low Season annually. If you own a power catamaran, you can use the sail catamarans and sail monohulls in your Group. You can upgrade with Advance Booking by paying the difference in charter rates. You can upgrade with Short Notice points by paying a $500 upgrade fee. What if my yacht is booked all the time and I can’t use it? We strive for each yacht in our fleet to be chartered about 20-25 weeks a year, so your yacht will not be booked all the time. If you have a special date (anniversary, birthday, etc.) that you will want to be on your yacht for, you can reserve it as far in advance as you like for the length of the program. If you want to be on your yacht every Christmas and New Year’s, or another time during High Season, we would recommend doing that at least 6 months in advance.